Cetyl Myristoleate and CM8 - Arthritis and Joint Pain Help! CM8 is the key ingredient in Flexcin, is clinically proven to help with joint pain, and is not found in any other supplement. But what exactly is it and why is it so important? CM8 is a form of the natural compound Cetyl Myristoleate (described in more detail below). Cetyl Myristoleate works as a pain reliever, joint lubricant, and anti-inflammatory. It is the only compound to have patents for the treatment of arthritis (US Patents # 4,049,824; 4,113,881; and 5,569,676). In simplest terms, CM8 is a form of Cetyl Myristoleate that is distilled and crystallized to be more effective and isolate the most effective properties of Cetyl Myristoleate. More Scientifically, CM8 is a specific form of Cetyl Myristoleate in which only the “physiologically active” fatty acid esters have been isolated, eliminating the ineffective, inert fatty acid esters. It’s named for the 8 “critical markers” that have been identified and used in the raw material patented by Harry Diehl, the NIH researcher who discovered Cetyle Myristoleate. these critical markers make CM8 a form of Cetyl Myristoleate that is more effective than other forms (such as CMO, which is an “analog” of Cetyl Myristoleate; in chemistry terms, this means “similar” – it is not Cetyl Myristoleate, but a “similar” compound). CM8 is only currently available in products produced by Flexcin International. 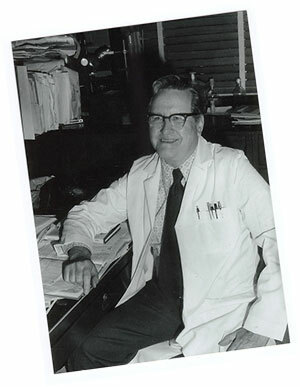 In 1962 Dr. Harry Diehl, a research chemist with the National Institute of Health (NIH), brought personal concern into his work place when he began worrying about his neighbor who was suffering from rheumatoid arthritis. As he conducted his research and attempted to give mice arthritis in order to test treatments, he was unable to give them arthritis. This is because they are immune. He subsequently isolated the compound that was causing them to be immune – Cetyl Myristoleate. Through further research, it was discovered that this compound had the same effect on humans. Clinical trials have been performed (information on those trials can be found here) which have shown Cetyl Myristoleate to be highly effective in humans – with the overall physician assessment of patient improvement (by percent) to be 84.2% compared to 13.9% for placebo. Dr. Diehl also developed a method for recreating the exact compound through the esterification of myristoleic acid, combining cetyl alcohol with myristoleic acid. This enables the compound to be readily available without the use of any animals. Cetyl Myristoleate is now known to also exist in sperm whale oil and in a small gland in the male beaver. However, the recreated compound has been found to be just as effective as that found in the animal sources and is used in it’s creation. No animals are used in the creation of commercially available CM8. Why Isn't CM8 More Common if It Is So Effective? Drug companies cannot get a “product” patent because this is a natural compound. This means they can’t control the market and the pricing. As the result, it is not profitable enough and they stay away. Supplement companies stay away from Cetyl Myristoleate because it is much more expensive to produce. This means that they need to either charge much more for their product so they can keep the same profit margins (essentially pricing themselves out), or take a hit on their profits. Because they’re unwilling to do that, they stay away from using Cetyl Myristoleate. So, what it all basically comes down to is financial viability and profits.